Prior to the 15th century, disease was often considered to be a punishment from God or the gods. Healers of the time, such as shamans, priests, and "witch doctors" would induce an altered state of consciousness for healing or spiritual rituals. Sometimes they did this to their "patient," sometimes to themselves, and sometimes both. They used many different techniques. Chanting, drums, dancing, fire, and drugs were all incorporated in ritualistic ways. A common important element was creating a suggestion that the patient's conscious and subconscious mind would accept, thus utilizing the patient's power of belief. Believing that they were being healed would put their own mind power to work healing them. Ancient Egyptians had the Temples of Sleep, and the Greeks their Shrines of Healing - both places where patients were given curative suggestion while in an induced sleep. One of the greatest uses and needs for hypnosis was in the area of anesthesia, because anesthesia as we know it didn't exist at all until the mid-nineteenth century. Paracelsus had a theory that the heavenly bodies exerted an influence upon disease and healing, working through an all-pervading universal magnetic fluid. In 1765, Franz Anton Mesmer stated that man could influence this magnetic fluid to bring about healing. 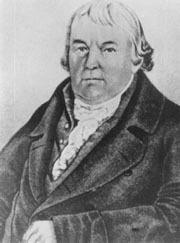 He established salons where patients applied magnets to afflicted parts of their body. Later he moved to Paris where he further developed his theory. In 1784, Louis XV1 set up a commission of investigation, which included Benjamin Franklin, M. La Guillotin, and La Voisier. They concluded that magnetism with imagination had some effect, but Mesmer's magnetism theories were discredited, although his Society of Harmonies continued. Le Marquis de Puysegur, a member of the Society, believed that the magnetic power was produced in his own mind and was transferred to the patient via his fingertips. He found that he could produce a sleep in which the patient would follow his commands - very authoritarian - and introduced the terms perfect crisis and profound sleep. In 1837 Dr. John Elliotson, Professor of Medicine at UCH London, conducted public clinical demonstrations of hypnosis and hypnotic phenomena, demonstrating its effects on voluntary and involuntary muscle, somnambulism, analgesia, hallucinations etc., which he attributed to the magnetism theory. He was forced to resign, and began to edit the journalThe Zoist. There, he reported on James Esdaile, a Scottish surgeon working in India, who had performed several hundred operations painlessly using only hypnosis (mesmerism) as an anesthetic. Esdaile would produce something like suspended animation, now known as the Esdaile State, by stroking the patient's body for several hours. Esdaile's logs indicated that fatal surgical shock or postoperative infection occurred in only 5% of cases, compared with the then norm of 50%. The medical establishment rejected these claims. 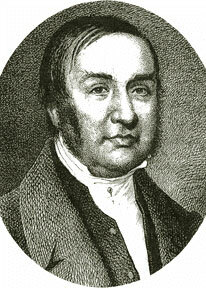 In 1841, British doctor James Braid saw a demonstration of mesmerism by a Frenchman named La Fontaine. He was impressed, and started using the mesmerism techniques in his practice. He used his shiny bright lancet case to induce his patients to enter a deep "hypnotic sleep." In that state, his patients would accept his "healing suggestions." He thought the reason this worked was that staring at a bright object exhausted the nervous system, rather than it involving magnetism. He coined the word Neurypnology(literally "nervous sleep"), from Hypnos, the Greek god of sleep. This was the first use of the word hypnosis. In 1884, Dr. Ambroise-August Liebeault, of France, proclaimed that he could cure people in a hypnotic state, by "suggestion." In 1886, he was joined by Professor Bernheim, from Paris, and together they published De La Suggestion, which further rejected the concept of magnetism. 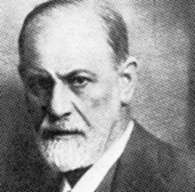 In 1890, two of Charcot's pupils, Josef Breuer and Sigmund Freud, changed the approach of hypnosis from "suggesting" away the symptoms, to eliminating the apparent causes. Breuer noticed that hypnosis patients would often recall past events, and talking about them would bring about emotional outpouring. Then they would lose their symptoms. He called this histalking cure (such an emotional state would now be referred to as an abreaction). Freud was also experimenting with it, and looking for other reasons behind illness, but eventually stopped working with Breuer, and began developing what would later become known as psychoanalysis. During WW1, between 1914 and 1918, the Germans realized that hypnosis could help treat shell-shock quickly. It allowed soldiers to be returned to the trenches almost immediately. A formularized version of hypnosis, autogenic training, was devised by Dr. Schultz. 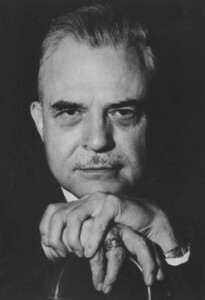 After the second world war, Milton Erickson of the US had a major impact on the practice and understanding of hypnosis and the mind. He theorized that hypnosis is a state of mind that all of us are normally entering spontaneously and frequently. On the heels of Erickson's work, hypnosis evolved into a well respected practice used by doctors, psychologists, business and law enforcement. It's also used for self help and self improvement. With the development of self-hypnosis, one doesn't even need to rely on a therapist any longer. Hypnosis is a tool, not a cure in and of itself. It is used for stress management, stress related disorders, dental and medical anxiety and anesthesia, even in obstetrics. It is also used for pain management, including pain associated with cancer; as an adjunct to psychotherapy, and in the management of a wide range of phobic, anxiety and other medical and psychological problems. Hypnosis can also help change your subconscious programming, putting the power of your mind towards improving your life.